WOKING Park is set to become a safer place for residents thanks to the implementation of CCTV coverage from Easter. Last December, a 17-year-old girl had her clothes grabbed and bag stolen by four youths in the park in what Surrey Police called a ‘distressing’ incident. Following other cases of teens being attacked or assaulted in the park late in the evening, Woking Borough Council has agreed to act. Closed circuit television will soon cover the area from Quadrant Court on Guildford Road through to Woking Park. The first installation, which observes walkways around the leisure centre, the new car park and skate park area, should be completed by late March. Conservative Councillor John Lawrence, who represents Old Woking, added: “I’m pleased that action is being taken on this point. 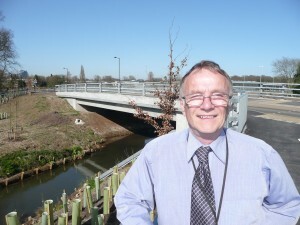 Council Leader John Kingsbury added that the town’s CCTV network could yet be expanded even further.